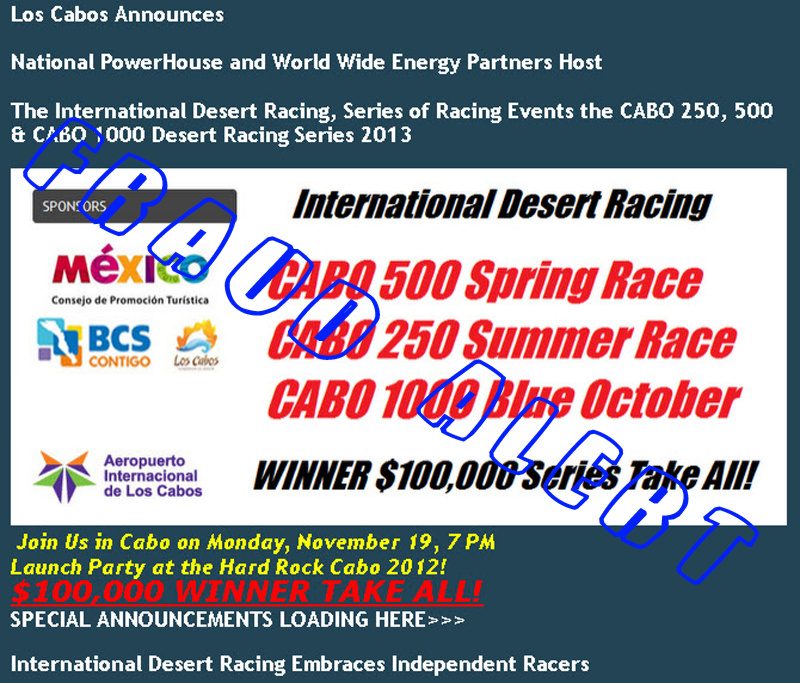 With very high probability and given past activities is the "$100,000 winner take all" announcement another attempt to get some of your money. 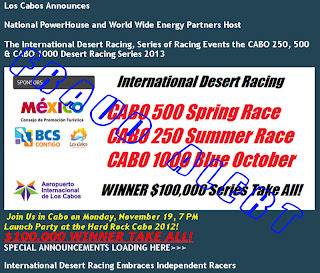 Get in touch with the "sponsors" of the "The International Desert Racing, Series of Racing Events the CABO 250, 500 & CABO 1000 Desert Racing Series 2013". 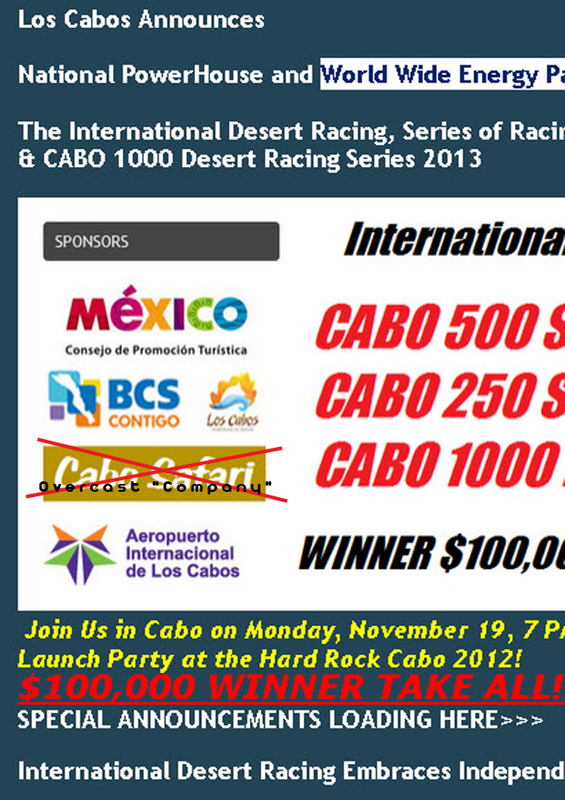 Investigate thoroughly before you even send 1 dollar for any registration fees or other "pre-pay" entry fee's! We contacted the different "sponsors" and will publish replies here.